Experience Shanghai, the “Paris of the Orient,” on an all-day sightseeing excursion that emphasizes the city’s unusual mix of Eastern and Western influences. 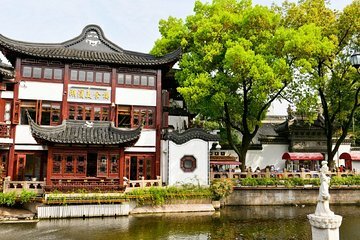 After a convenient hotel pickup, travel with an informative guide and tour many of Shanghai’s highlights and landmarks. Visit the Bund neighborhood and see its spectacular international architecture, stroll the Yuyuan Garden, check out 88-story Jinmao Tower, and enjoy a traditional lunch—all on one affordable outing.